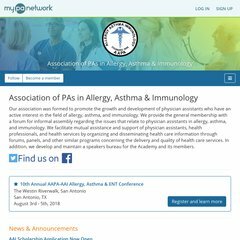 Topics: Board Of Directors, Career Center, Pa Programs, Cme & Events, Forums, and Aai Cme Presentation Pdfs. It is hosted by Maximumasp Llc (Kentucky, Louisville,) using Microsoft-IIS/7 web server. Aapa-aai.com's server IP number is 66.29.208.61. Its 2 nameservers are ns1301.websitewelcome.com, and ns1302.websitewelcome.com. PING sites.memberlodge.org (66.29.208.61) 56(84) bytes of data.